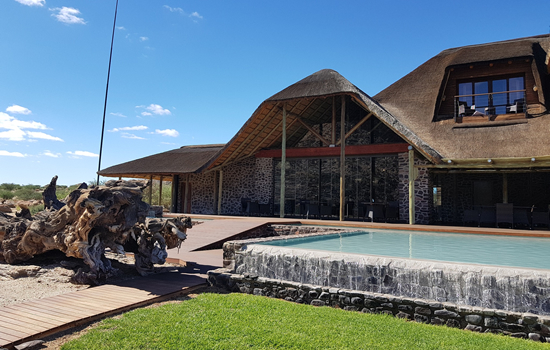 The lodge, while newly established, is mindful of the sensitivity of its location, and is committed to a greener lifestyle and energy saving practices. 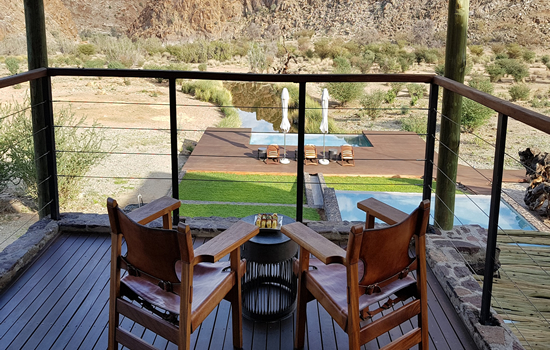 Tutwa Desert Lodge provides an oasis of calm and cool in this vast and untamed environment, offering a unique and private wildlife safari experience.Tutwa proudly offer five Verandah Suites, two Upstairs Suites and two Annex Rooms. All suites offer spacious luxury and impeccable style with double-doors leading to patios or balconies with extensive views. 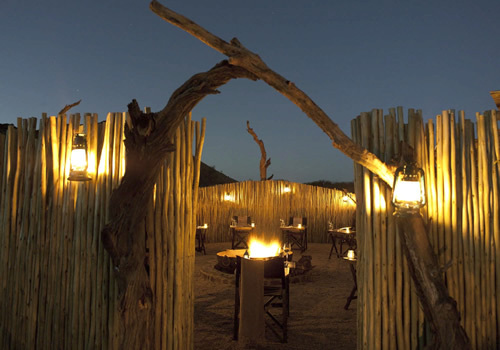 Natural game paths pass the lodge, and its likely antelope, giraffe, zebra and other African game may wander past. 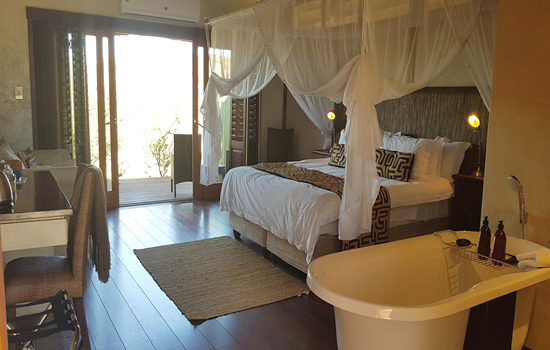 The suites boast king-size beds dressed with high quality percale linen, climate control, extended mosquito nets, tea and coffee making facilities, mini bars and safes. Each suite boasts indulgent bathroom spaces with separate bath and shower facilities. Guests can feel and enjoy the luxury of bespoke guest toiletries, bathrobes, slippers and hairdryers. 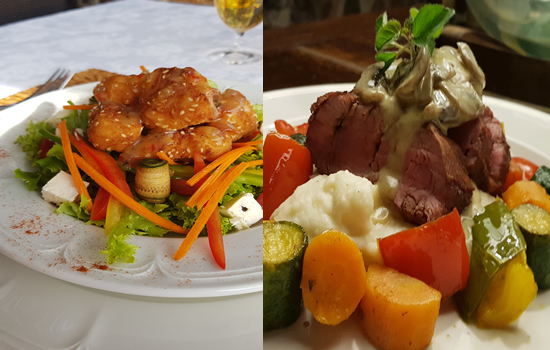 With a variety of beautiful settings, identified to make the most of the surrounding views and landscapes, the emphasis of the dinner menu served at Tutwa is on African cuisine with fresh contemporary flavours and a nod to universally appealing dishes. 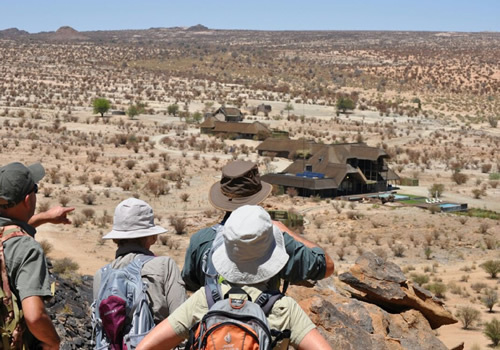 Tutwa Lodge is close to the Namibian border, and surrounded by various national parks and game reserves. The nearest airport is Upington Airport and its a three-hour drive away. 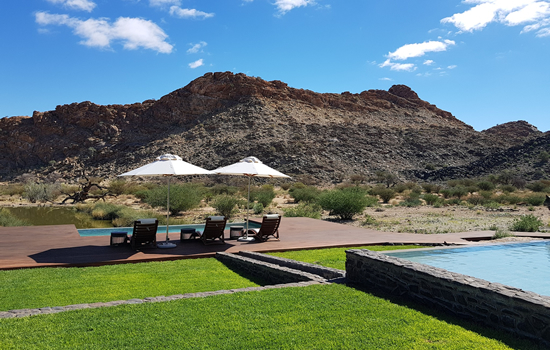 The Northern Cape is the largest province in South Africa with the lowest number of inhabitants. 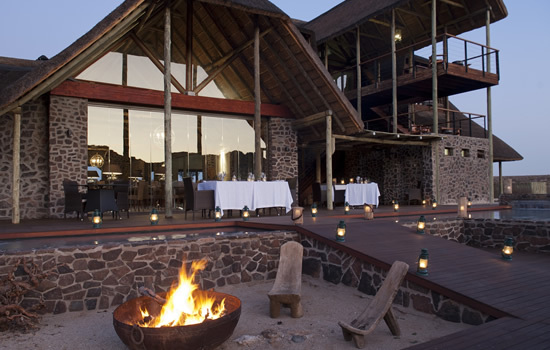 It is vast and arid; and in the middle of this majestic semi-desert lies an oasis, Tutwa Lodge.